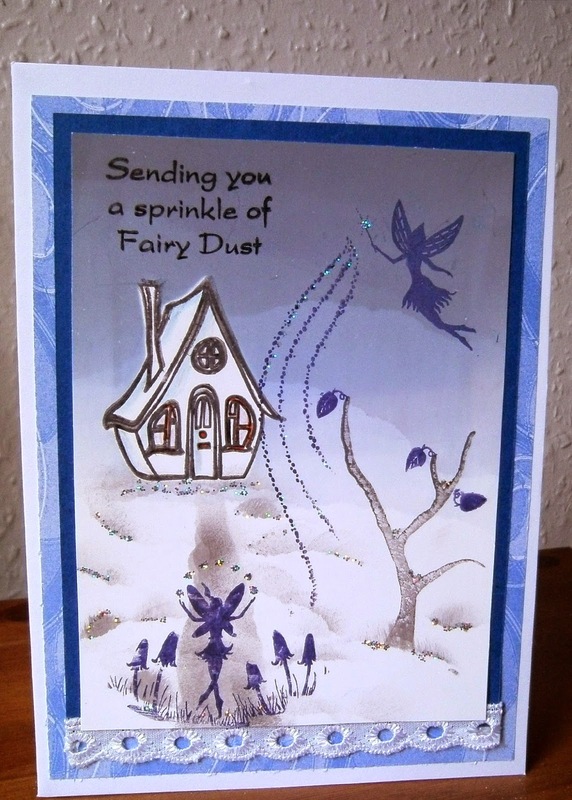 This month at Craft a Scene the theme is to make a "Fairy Tale" scene. Our themes have always been realistic in nature but this month we will try something more whimsical. 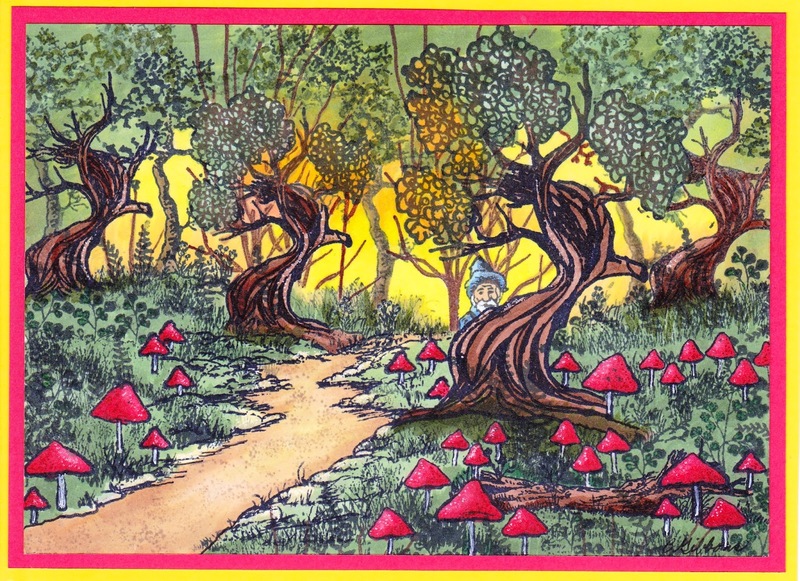 You can create a project with fairies or about a classic fairy tale. You can jump to mr. linky but you would miss all the lovely inspiration! I have two cards for the challenge this month. 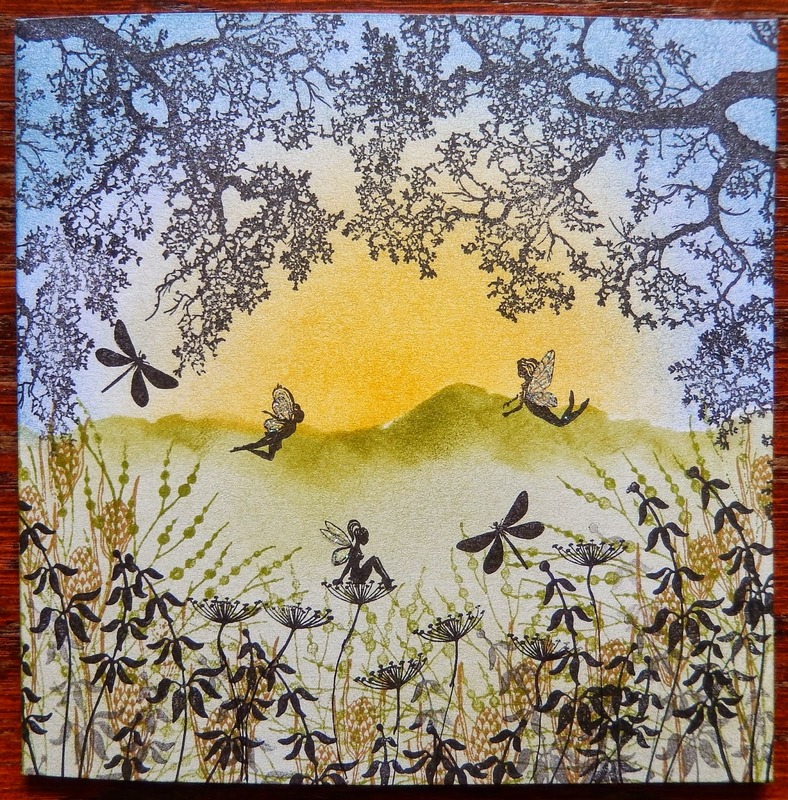 The first card was created using Lindsay Mason’s Personal Impression stamps for the fairies, the tree and the sentiment. 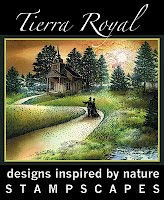 The little house is from Clarity stamps, and I named the card “Almost Home”. The second card has stamps from various places. The enchanted coach and horses is from Lavinia stamps, the trees are Clarity, the tiny fairies are from Majestic secret Garden, and I’m not sure where the lamp post and grasses came from. 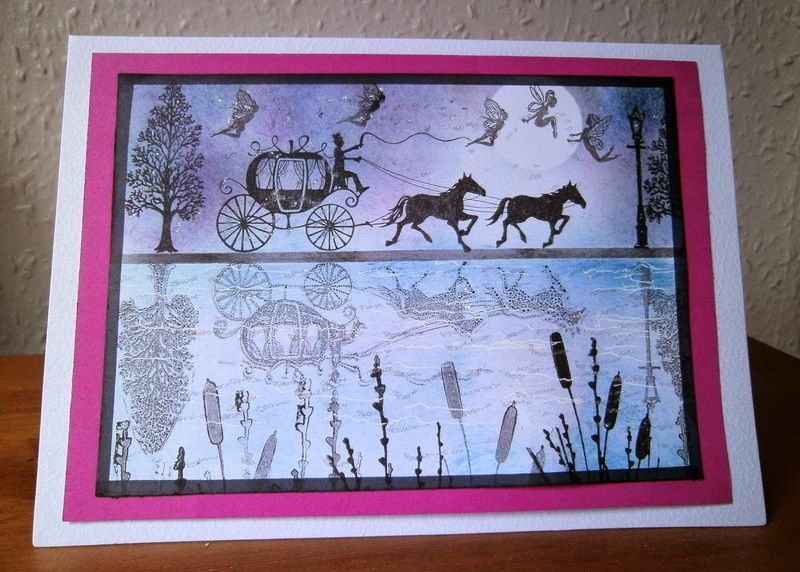 I crated the reflection stamping onto the Gelli Plate, with the coach and horses and the trees, and then placing card on to the gelli plate , and rubbing across to transfer the image in reverse. 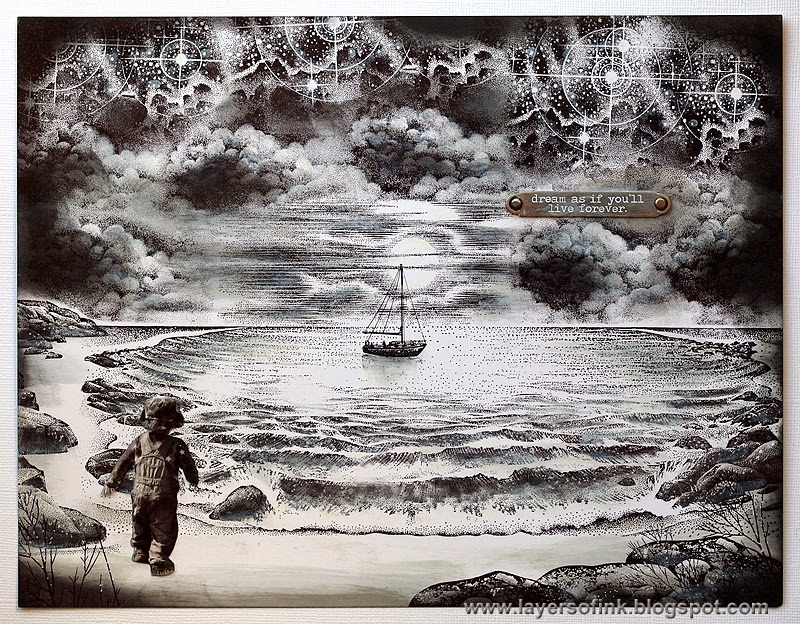 I then added the sky and the water using adirondak inks, and a White gellyroll pen was used to give an illusion of movement in the water. A 2-way glue pen and some silver Glamour dust completed the card, and I thought this card should be named “You shall go to the Ball”. Our wonderful and talented Craft a Scene design team has created more inspiration for you as well. Now it is your turn to make a "Fairy Tale" project. You may enter up to 3 times and as many other challenges as you wish. If you do not have a blog or account on Split Coast Stampers, then just email me a picture of the piece and I will add it to one of our posts. Beautiful contributions to the challenge! you made two beautiful scene's. I like the colours that you have used. the second entry is stunning with that watermirror. oooo.....so funny that little man peeping behind the tree! Craft a Scene By the Sea Winners!